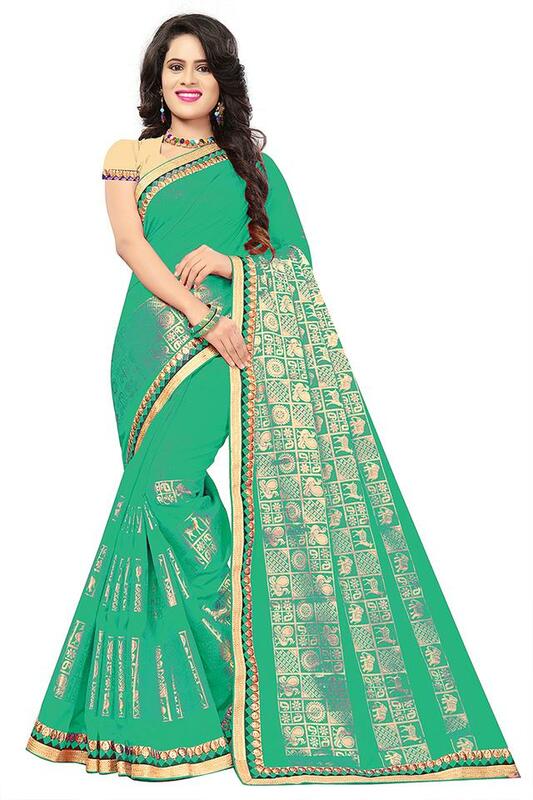 Express your style better by draping this saree presented to you by De Marca. It has been crafted with care using silk jacquard fabric that promises to keep you at ease all through the day. Besides, it comes with a woven work which adds to its design. Revamp your festive appearance by donning this saree. Style it with minimal jewellery and a pair of heels for a complete look.